Let me just start out by answering some questions you might be asking yourself. No, you're not the only one who read the title of this post and tried to fit it into the meter of the song "Mr. Blue Sky." And no, it doesn't quite fit; there are a few too many syllables. Okay, with that out of the way, this review carries a huge spoiler warning, so you won't want to read past this paragraph. In fact, I'm not sure if "review" is the most accurate term. The purpose of this post isn't to inform the reader so they can decide whether or not to go see the movie, but rather to discuss what we already saw. If you're looking for my recommendation, it's this: you should go see this movie. 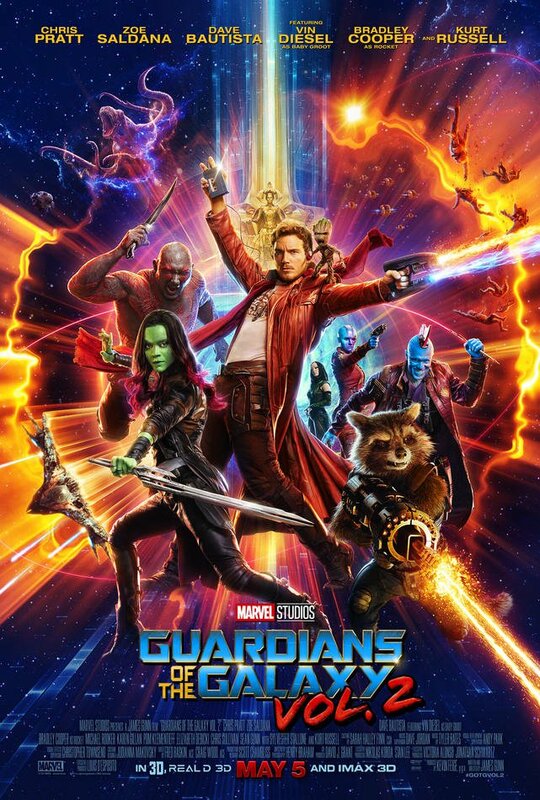 You don't need to have seen any of the other Marvel movies to watch this one, but it helps if you've seen the first Guardians of the Galaxy (obviously). The humor is a bit crude for the younglings, so you might want to leave them at home. (Although I don't think there's anything more objectionable than the first one, so you be the judge.) 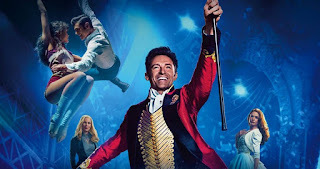 Once you've seen the movie, be sure to head back over here and check out my review! As I walked out of the theater, I asked myself, where do I rate this among the Marvel Studios movies? After all, Guardians of the Galaxy Vol. 2 is the 15th movie to be released in the Marvel Cinematic Universe (or MCU), which started back with Iron Man in 2008. I quickly dismissed the question, both because that's just too many movies for me to try to rank, and because the Guardians of the Galaxy films are so different from the others. But I did think about how Vol. 2 compared with the original. 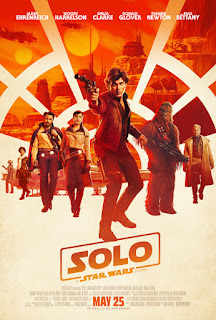 My conclusion was that I found the first movie funnier than the second, but the plot, villain, and character development was more compelling in the sequel. One of the advantages of the sequel is that you can usually assume the audience has seen the first film. So the main characters have already been introduced. Rather than wasting time establishing a lot of backstories from scratch, the filmmakers can instead revisit the backstories, and use them to develop different aspects of the characters' personalities. Star-Lord is the leader of the Guardians of the Galaxy - and the star of both movies - so it's no surprise that his character arc takes center stage. We learned in the first movie how much Peter loved his mother. He never knew his father, so she was the only parent he had. By extension, his two mix tapes of songs from Earth (made for him by his mother) are very important to him. In this film, we find out that he deeply felt his father's absence. The story of how he carried around a picture of David Hasselhoff with him as a child (so he could tell the other kids that his dad was busy recording an album or filming an episode of Knight Rider), while hilarious, was also touching. When Peter somewhat blindly accepts Ego, his biological father, back into his life, Gamora asks why he didn't recognize that the other Guardians had become a family to him. We knew that Gamora and Nebula were "daughters of Thanos." He had raised them to become killers, and had sent them to work for Ronan the Accuser in the last film. We knew Gamora had a change of heart, and rebelled against Thanos and Ronan, but it seemed like Nebula remained on the side of evil. Now we find out a bit more about what their early life was like. Thanos had forced them to fight against each other, and Gamora won every time. 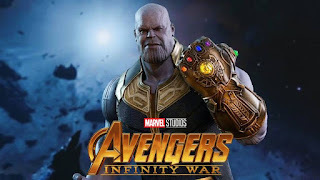 As punishment to Nebula, Thanos removed a body part from her after each defeat, and replaced it with a cybernetic implant. So now we see that Nebula's actions in the first movie weren't because of a loyalty to Thanos - she loathes him - but out of hatred for Gamora. Neither daughter, it seems, was ever really loyal to Thanos; they were both just trying to survive. Drax is largely used for comic relief in this film. He was largely driven by a desire for revenge against Ronan in the first film, until he realized he should really be after Thanos. Since Thanos won't be playing a major role in things until the next Avengers film, that particular motivation for Drax didn't feature heavily in this film. But we did get some moments of Drax reminiscing about his deceased wife and child. One particularly beautiful moment has Drax telling Mantis about how he used to take his daughter to see some fountains on his homeworld. While the externally stoic Drax shows no sign of sadness, Mantis burst into tears upon touching him (with her empathic abilities), showing us how heartbroken Drax really is. To an audience member, Rocket is hilarious. But to the people who know him, he's kind of a jerk. He pushes away those closest to him so that they won't see his insecurities (a trait pretty common in fictional characters, but it's common because it's true to life). He finally admits it because he is called out by someone who basically does the same thing, Yondu. Yondu and the Ravagers were both expanded greatly from the first movie to the second. In Guardians of the Galaxy, Yondu and the Ravagers are greedy thieves that kidnapped a young Peter Quill and threatened to eat him most of his life. At the end of the film, they're convinced to help fight Ronan because it's in their best interest for the galaxy to remain intact. But at the very end of the film, we see Yondu, having been tricked by Peter, deciding to let the matter go. We also see that he didn't just kidnap Peter; he'd been hired to deliver him to his father, but went back on the arrangement because "that guy's a jackass." That bit of plot is expanded into much of the plot of this movie. We find out that Yondu acted like a jerk to Peter, but he actually cared about him. Similarly, the Ravagers were indeed thieves, but were supposed to follow a code. A code Yondu broke by trafficking children. But after he figured out what was really going on, Yondu started a journey back to the light, so to speak. His sacrifice at the end of the movie shows that he has completely gone from selfish to selfless. Groot, who sacrificed himself in the previous film, spends this film as a baby...or sapling... I'm not going to pretend to be an expert in the proper terminology for the tree-like denizens of Planet X. You just can't help but love Baby Groot. He makes you laugh when he dances through the opening scene, or tries again and again (unsuccessfully) to retrieve Yondu's fin. And your heart breaks when Yondu's mutinous Ravagers pick bully him, or when he starts crying as Ego is crushing him during the climax. I wouldn't say Groot's character development is as profound as that of the other characters, but it's kind of amazing how much I was made to care about a talking tree. Mantis is a newcomer to the team. She's an empath, which means she can read people's feelings. It's interesting that they make it a point to distinguish between this ability and telepathy (reading thoughts), because in the comics Mantis is a telepath. She's been living on Ego's planet for almost all hear life, so she is very naïve when it comes to social interactions. But she remains fundamentally good, which is why she warns the Guardians of Ego's sinister motives. It will be interesting to learn more about Mantis in future films. When the first trailer for Guardians of the Galaxy came out back in 2014, it captivated my imagination. I wanted to find out more about these characters. Why was Marvel making a movie about these obscure players? So I went to Comixology and downloaded digital editions of the 25-issue of the Dan Abnett & Andy Lanning run of Guardians of the Galaxy from 2008. I liked that run so much that I started seeking out the comics that preceded it (Annihilation and Annihilation: Conquest), those that took place at the same time (Nova, War of Kings, and Realm of Kings), and the conclusion of that overall "Marvel Cosmic" arc (The Thanos Imperative, Annihilators, and Annihilators: Earthfall). At some point, I also read some issues of the original 31st Century Guardians of the Galaxy team, which were published in the late 60s and 70s. So I'm not very well-read in the overall Marvel universe, but I do have a pretty good handle on the comics relating to the Guardians of the Galaxy. The opening scene - shots of which were featured in trailers and TV spots - felt like it came right off the comic page. The Guardians of the comics spent a good portion of their Abnett & Lanning run fighting off tentacle monsters from other dimensions. Another nice nod to the comics is the prototype fin that Yondu retrieves after his crew mutinies against him. In the comics, Yondu was a member of the 31st Century Guardians of the Galaxy. He was a native of Alpha Centauri, and had a huge red fin and a magic arrow that he could control by whistling. The first Guardians of the Galaxy movie saw Yondu in the present day, with a very different personality from his comic inspiration, and a much more subdued fin on his head (although he did have that arrow). So it was cool that Yondu's prototype fin looked a lot more like what comics readers were used to seeing. I heard long before the movie came out that Kurt Russell had been cast as Peter Quill's father. Then I heard that his character's name was Ego. I'd read about Ego in the Nova comics, and knew that he was a living planet. Literally a planet with a face. So I wasn't sure how they were going to do that, because the images they were releasing of Ego in the movie didn't look very planet-like. I was pleased when it was revealed that the Kurt Russell form was just a construct or avatar created by Ego, who was in fact a celestial, and whose main form was, in fact, a planet. I was even more pleased - and let out a "Yeah!" in the theater - when they showed a shot of that planet from space, and it had a big face on it. As I mentioned before, the comic book version of Yondu was a member of the original Guardians of the Galaxy, but in the first movie, he's a member of a band of thieves called the Ravagers, instead. This movie gives us more information about the Ravagers. We find out that Yondu's band was just one part of a larger organization. As I was watching the movie, I noticed that one of the other Ravagers looked like he was made of crystal. I assumed it was a nod to Martinex, another member of the original Guardians. At first I wasn't sure what was happening in the end-credits scene where several of the Ravagers talk about getting the band back together, although I did think that Ving Rhames's character kind of looked like Charlie-27 (another member of the 31st Century Guardians). A connection I didn't make until after I left the theater was that Sylvester Stallone's character name - Stakar - is the human name of Starhawk, yet another of the original Guardians of the Galaxy. In fact, all of the Ravagers in that end-credits scene had been members of that team at one point or another in the comics. Word is, the film's director, James Gunn, has expressed interest in spinning off this team into their own movie at some point. Adam Warlock's history goes way back in the comics. I know that he was heavily involved in the Infinity Gauntlet arc, but I haven't read those issues. I'm mostly familiar with him from his place on the Abnett & Lanning Guardians of the Galaxy roster. Warlock is a powerful magical being, who can regenerate in a cocoon-like structure. Something that looked remarkably like this cocoon appeared as an Easter egg in the Collector's displays in the first Guardians of the Galaxy (and in the Thor: The Dark World end-credits scene). But it turns out that cocoon was not Adam Warlock's. In the end credits to this movie, we see a more technological-looking cocoon on the Sovereign's planet. Ayesha says that she will call the being inside "Adam," so we can expect to see Mr. Warlock in Vol. 3. Family is a major theme in this movie, and we see several examples, with varying levels of dysfunction. There's Peter and his birth father, Ego. Once Ego wins Peter over, this relationship seems - on the surface - to be a healthy father-son relationship, complete with a scene of them laughing and playing catch together. But under the surface, of course, Ego is a psychopath, who is using Peter to realize his dream of conquering/becoming the galaxy. On the flip side, there's Peter and the other Guardians. They bicker with each other, and sometimes deeply hurt each other's feelings. But deep down, they really do care about each other. Rather than just sticking with the cliché "They tease and fight because they love" thing that you see in many movies and TV shows, the movie makes it clear that if all they do is tease and fight, they will push each other away. It is important to actually tell each other that they care, and to show it. And then we have Peter and his surrogate father, Yondu. On the surface (and, in many ways, under the surface) this relationship has all kinds of flaws. Yondu kidnapped Peter, used him for his own selfish ends, and literally threatened to eat him. This relationship needs a bit more than just an acknowledgement that Yondu's always cared for Peter deep down. It needs an act of redemption, which Yondu provides when he sacrifices himself to save Peter. Speaking of relationships in need of redemption, there's Gamora and Nebula, and all of their baggage. I already talked about their relationship in the Character section above, but I thought it was interesting how Gamora recognized the issues with Peter and Rocket (for example, how their fighting almost got them all killed in the quantum asteroid field), but never noticed how she had played a part (not as large a part as Thanos, but a part nonetheless) in Nebula's childhood trauma. Although Ego considers himself a god in this fictional universe, it's interesting that his motivations could actually be used to point towards the existence of the true God. At first, Ego says he was lonely, and sought out companionship among other life forms in the universe. Then we learn that he thought the examples of life he found were disappointing. And after living for millions of years, the only thing that made his existence worthwhile was a "higher purpose," as he put it. Let's explore that concept. Ego, an infinite being, could not ultimately be satisfied by the finite universe. That sounds familiar, because we - though we have mortal bodies - have immortal souls, and we cannot find fulfillment in the fleeting pleasures of this life. As St. Augustine puts it, "You have made us for Yourself, and our hearts are restless until they rest in You." So Ego's motivation was actually a good one, and one we can relate to. But his solution was erroneous. Would Ego have found peace if he had succeeded in his plan? I doubt it. He'd have ended up even more lonely than when he first started. This is the second time I've noticed this theme in a Marvel movie. (The villain in Dr. Strange was motivated by a similar desire, as I talked about in my review.) Are the filmmakers pushing Christian themes? I doubt it is intentional. But that desire - that infinite desire that cannot be sated - is fundamental to our nature, so it wouldn't be surprising if it arose in the works of even the staunchest atheist. 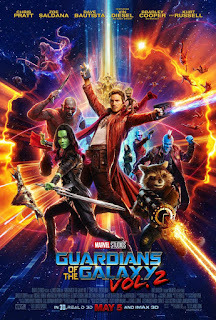 While it's not necessary to watch all of the films in the MCU to enjoy the Guardians of the Galaxy movies, there is a greater level of enjoyment that comes from all of the ways the various storylines intersect. That being said, Vol. 2 left me with some questions about the future of the MCU as a whole. We know that the Guardians will be involved in the upcoming conflict with Thanos in Avengers: Infinity War. This has been confirmed by the powers that be at Marvel, but there are also in-universe indications that this is going to happen. Drax said at the end of the first Guardians of the Galaxy that he wanted revenge on Thanos. And in Vol. 2, Nebula leaves the team at the end in pursuit of him. So a confrontation is coming. The question is, how will they be brought into the story, and how big of a part will they play? What's the Deal (or Lack Thereof) with Telepathy? While Mantis was a telepath in the comics, the filmmakers decided to make her an empath in the movie. Why is that? Are they saving telepathy for a future character (like Cosmo, the Russian cosmonaut dog, perhaps)? On the television side, there was a character in the first season of Agents of S.H.I.E.L.D. called the Clairvoyant, who could presumably read minds. But it turned out that he just had access to the S.H.I.E.L.D. personnel files. Is there something about telepathy that just doesn't work well on screen? Are they just avoiding it altogether in the MCU? There have been several mentions of the Kree in the MCU. Coulson, it turns out, was resurrected on Agents of S.H.I.E.L.D. using Kree blood. Ronan the Accuser was a rogue Kree that objected to a treaty signed by Xandar and the Kree. We learn that Kree scientists created the Inhumans millennia ago by altering the DNA of human subjects. We even had a few Kree show up on Agents of S.H.I.E.L.D. to hunt Inhumans. And Yondu mentions in Vol. 2 that he had been a slave of the Kree as a child. We keep getting Kree who are only marginally associated with their culture, without quite getting the real thing. Are they saving the Kree for something? Are we going to see more of them in a future movie? Maybe the upcoming Inhumans series will feature them more prominently, although I don't think that will be the case. Captain Marvel has a lot of ties to the Kree, so perhaps they're saving the Kree for that movie. Now that Guardians is out on Blu-Ray, you can pick it up on Amazon here. Thanks for reading! If you like my blog, and you'd like to receive emails each time I upload a new post, you can enter your email address below. Or, you can "Like" or "Follow" GCD's Facebook page here. Find me on Twitter here. What was your favorite part of the movie? Did I get anything wrong about the comic book versions of these characters? If you want to express an opinion, ask a question, or give feedback about this post or others, feel free to leave a comment below, or email me at geekycatholicdad@gmail.com.